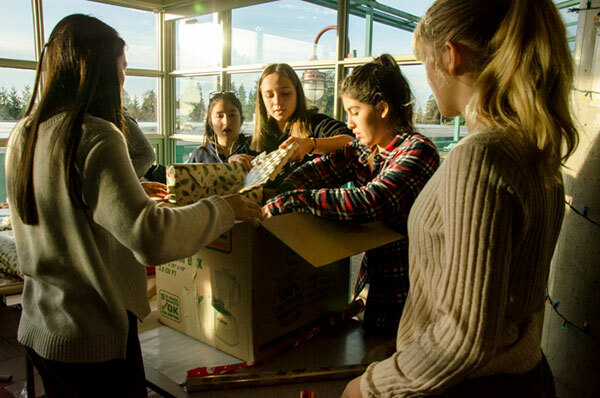 Students at West Vancouver Secondary School prepare hampers for families in need. 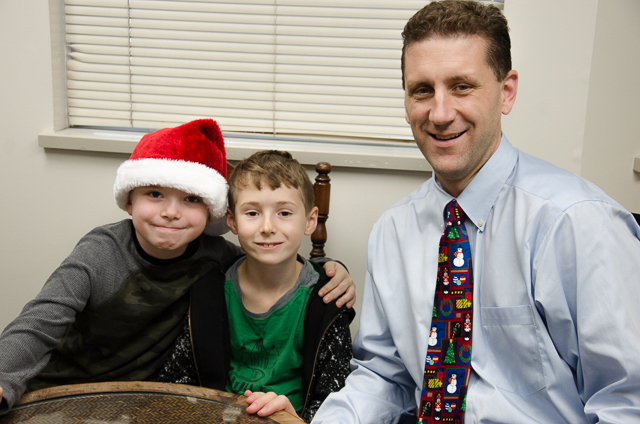 Daniel and Robert, Grade 2, with Superintendent Chris Kennedy. 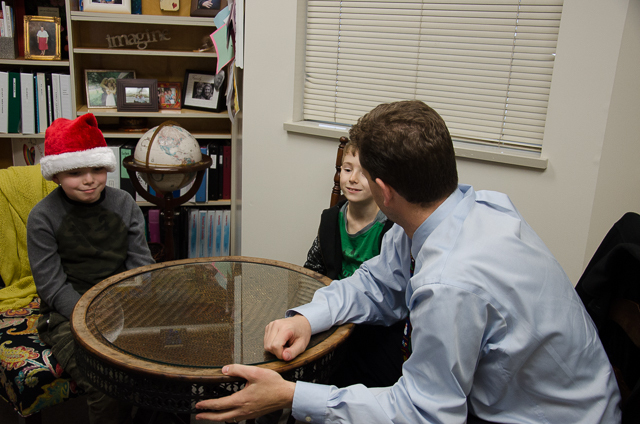 In addition to a special effort on behalf of Cops for Cancer earlier this year, the school is very proud of two boys in Grade 2, Daniel and Robert, who collaboratively planned, launched and led a book this month to raise money to donate to cancer research. 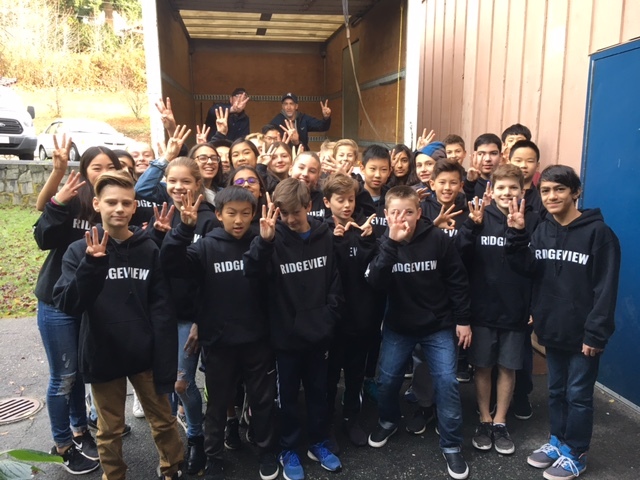 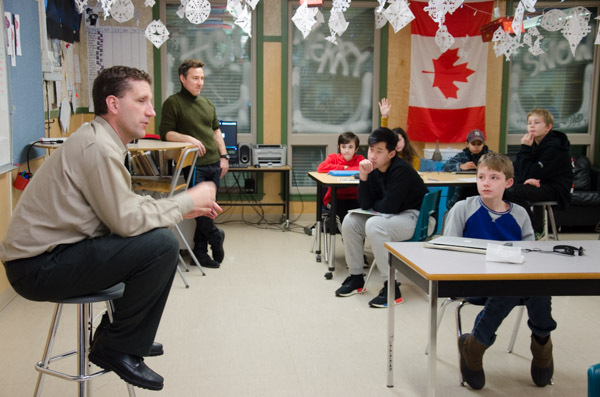 The boys raised $583.15 from the sale, and when I met with them to congratulate them on their success, they told me about how their initiative has sparked others in their class to also engage in community-minded projects. 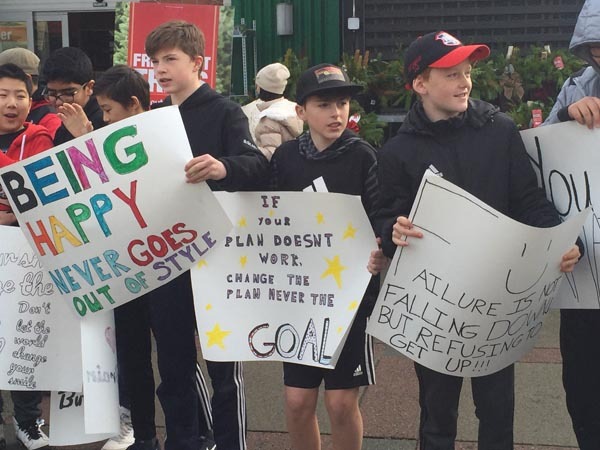 Daniel and Robert said that they were surprised with how helpful everyone was through the process, but also learned just how difficult the planning can be for such a large initiative. 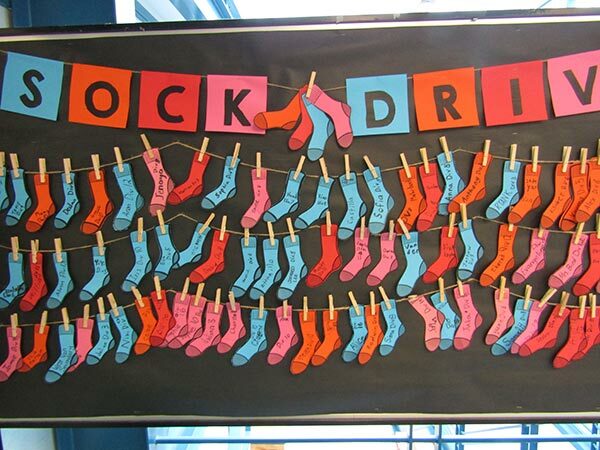 Sock drive display at Ridgeview Elementary school. 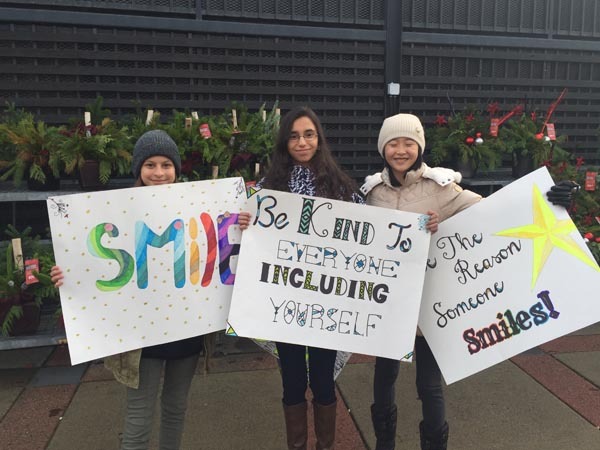 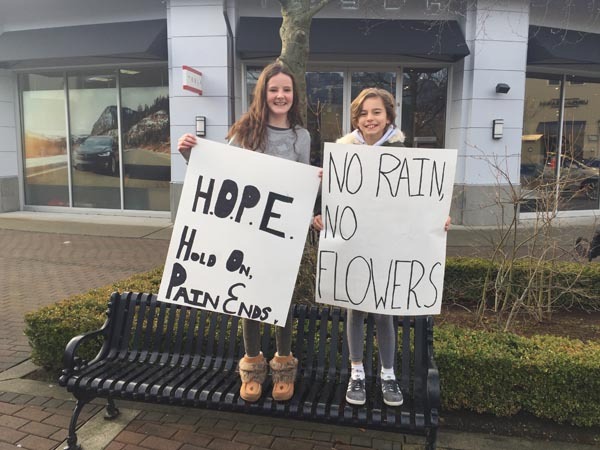 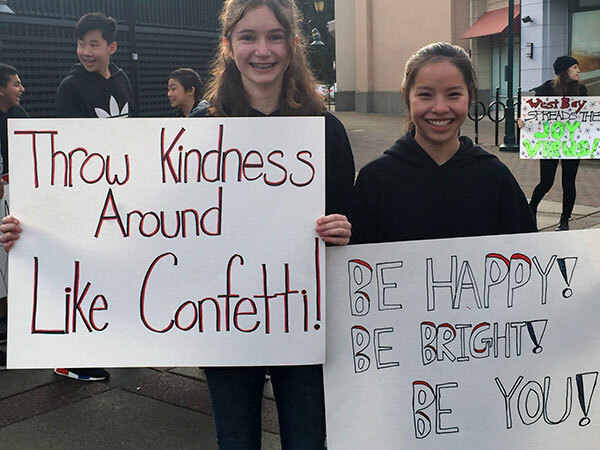 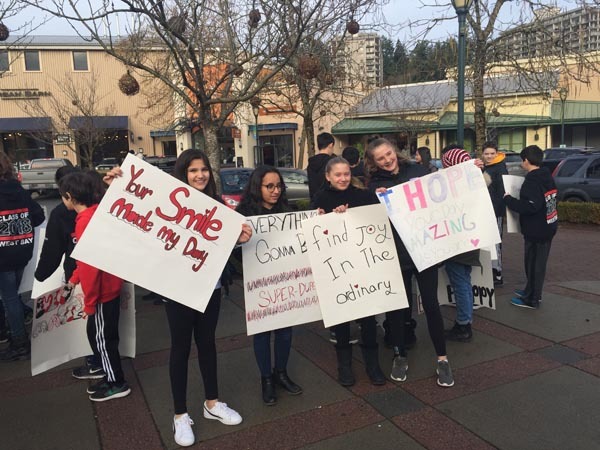 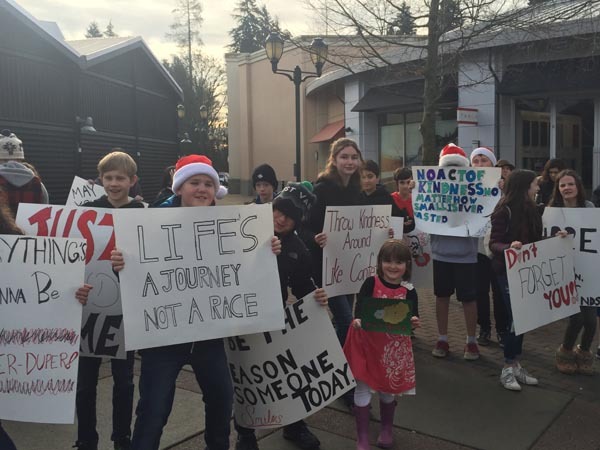 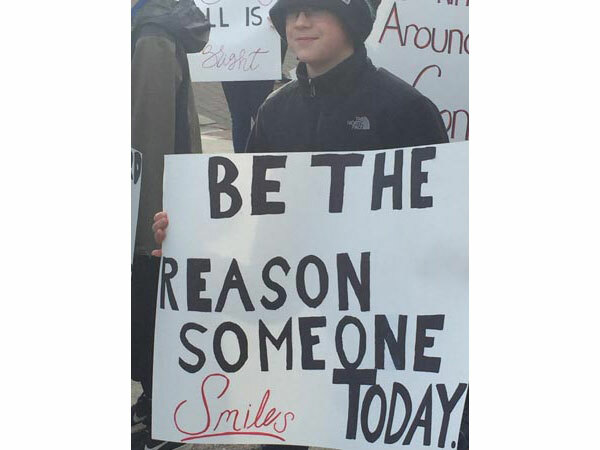 Students share messages of joy at Park Royal Village. 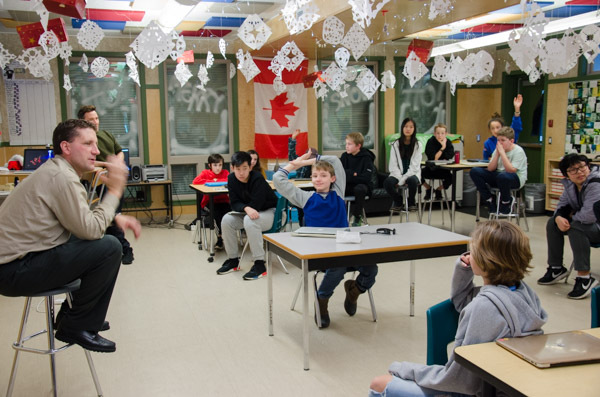 Have a wonderful holiday break, and I look forward to connecting with you in January.